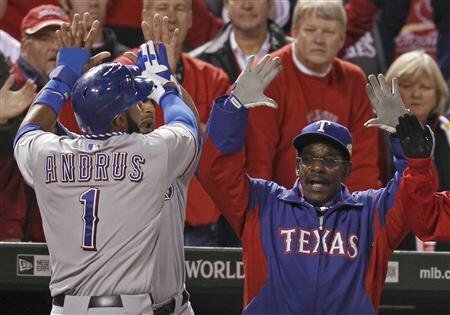 Game three of the World Series between the St Louis Cardinals and the Texas Rangers was one for the ages. 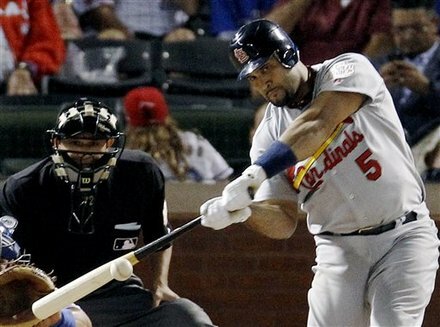 Cardinals First Baseman Albert Pujols set a record for a World Series game going 5-6 with 3 home runs and 6 runs batted in. 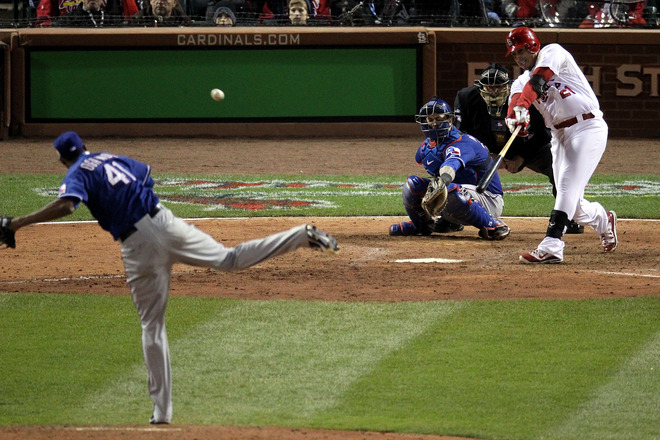 He is the first player to hit three home runs in a World Series since “Mr. October” Reggie Jackson did it in game six of the 1977 World Series against the Los Angeles Dodgers and Babe Ruth how did it in the 1926 and 1927 World Series. Pujols home runs were all massive going 43 feet, 406 feet and 397 feet respectively. One commentator referred to Pujols as “Mr. Octobert” to distinguish him from Jackson. The game was a big change from games one and two where pitching and defense dominated. 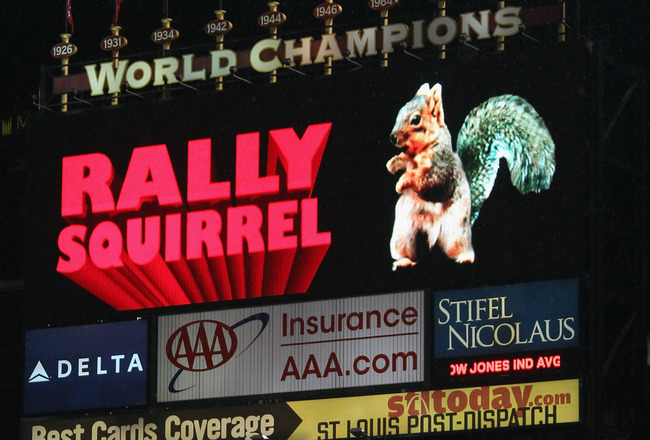 In those games the teams scored a combined 8 runs on 23 hits and only committed 2 errors. In those two games the Texas pitching staff had a 2.11 ERA and St Louis a 2.00 ERA. However in game three on a warm and windy night in Arlington the pitching staffs of both teams broke down and both bullpens showed signs of overuse. In game three the teams scored a combined 23 runs on 28 hits and the Rangers committed 3 costly errors plus one that should have been an error which resulted in a blown call at First Base and helped the Cardinals to a big 4th inning. The series ERA for the Rangers ballooned to 6.66 and the Cardinals to 3.80. Of particular concern for the Rangers is their g0-to man in the bullpen Alexi Ogando who was central to their success as a set up man for closer Neftali Feliz has been thunderstruck during the World Series. He has three appearances and only gotten one out in each appearance. 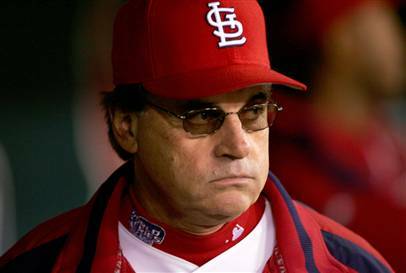 He has given up 5 hits, one being a home run and two walks and allowed 4 runs of which 3 were earned for a 27.00 ERA in the World Series. 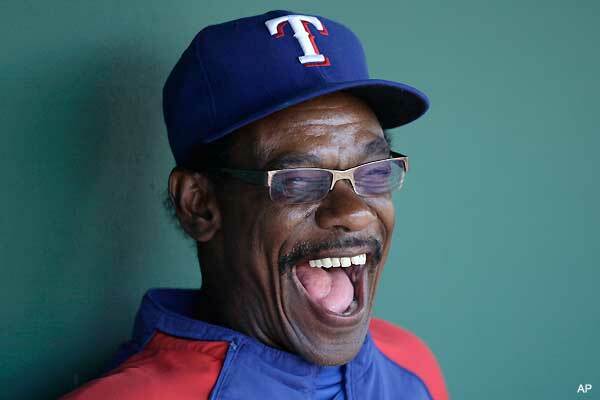 Ogando has to be on for the Rangers to win. Conversely the batting averages of the teams which had been very low in games one and two Texas hitting a meager .186 andSt Louisa marginally better 2.03 went up. At the end of game three the Cardinals average was .267 and the Rangers to .252. 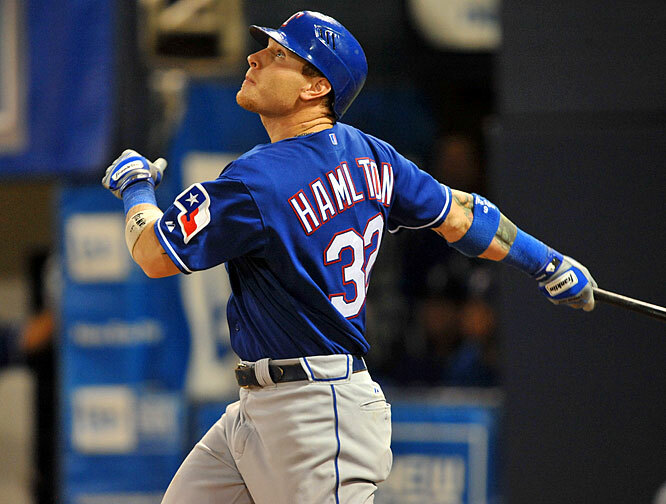 The Rangers series On Base Percentage (OBP) is .292 and a Slugging Percentage of .378. 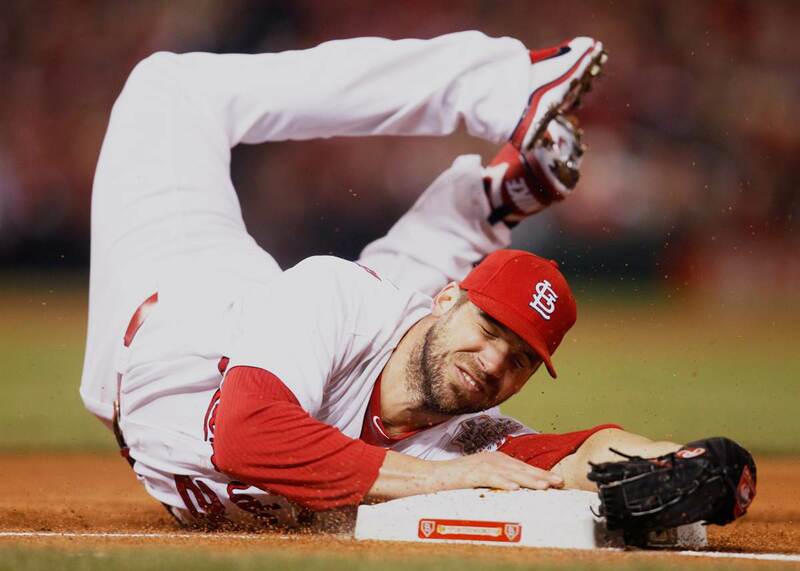 The Cardinals OBP is now 3.70 and a .455 SLG. Lance Lynn got the win in relief for the Cardinals and Rangers starting pitcher Matt Harrison took the loss. Tonight Edwin Jackson 12-9 3.79 will be on the hill for the Cardinals and Derek Holland 16-5 3.95 will pitch for the Rangers. Holland has not performed well in the playoffs giving up 8 earned runs and 18 hits including 5 home runs in 13.2 innings. His playoff ERA is 5.27 and his opponent batting average is .305. Jackson too has struggled in the playoffs giving up 8 earned runs on 16 hits with 4 home runs in 12.1 innings. He has a playoff ERA of 5.86 and opponents are hitting .302 off of him. Jackson in his career against the Rangers is 2-3 with a 4.02 ERA and opposing batting average of .244. 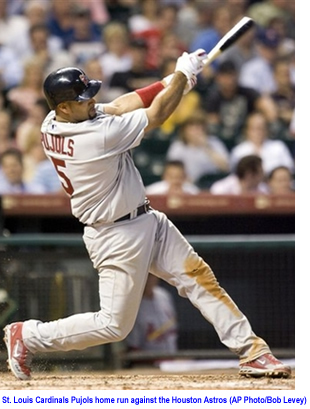 Pujols is now hitting .418 in the playoffs with a .492 OBP and .818 SLG. In addition to Pujols mammoth feat David Freese continued his record playoff run hitting safely in 13 consecutive games with 21 hits including 7 doubles and 4 home runs. He has a .429 batting average, .481 OBP and .816 SLG. Allen Craig who has been an amazing pinch hitter during the 2011 playoff made his first start in Left Field hit a hitting a solo home run in the first inning off Matt Harrison.